Before we dive in, let’s take some reality pills. First, this tourniquet is for you, not for your good samaritan fantasy where you save the beautiful princess/prince with the severed artery (although I’m not saying it wouldn’t work for that as well). Second, the mere fact of not carrying a tourniquet does not decrease your chance of ever needing one. And third, a tourniquet can easily be made out of many common items, but not when you are bleeding to death. And bleeding to death on the battlefield is the most common preventable way of dying. Of all the contents in a well stocked first aid kit, nothing is more frightening or misunderstood than the tourniquet. The utter simplicity of design and finality of use has created a culture of confusion around its application and long term effects. Although the purpose and general operation of the tourniquet has remained fairly constant over the years, advances in medical understanding as well as the proliferation of activities we engage in that might produce a wound in need of a tourniquet has caused a major evolution in tourniquet design and philosophy making a revisit of the device as necessary to anyone who considers himself prepared. Make no mistake, the use of the tourniquet is the same regardless of its design. Massive blood loss is never a good thing, and stopping it fast and completely is a priority since nobody breaths very long when their plumbing has sprung a major leak. But that is where the old school and new science of tourniquet design parts ways because the modern tourniquet also contains a modern understanding of what happens downstream of its application. For quite a long time tourniquets were thought to do more harm than good, and back in 1916 the Journal of the Royal Army Medical Corps called them the “invention of the devil.” Where the real turnaround came is when the awful number of IED amputated limbs left the faucet wide open on arteries. After a massive increase in availability of tourniquets in the hot deserts proved to be a turning point in saving lives. A tourniquet is not a perfect solution, but it is a much better option in reality than much of the hearsay you hear and people say. A tourniquet is not a the first step towards an amputation, and nor is it something that demands constant attention. Like CPR, the rules have changed. 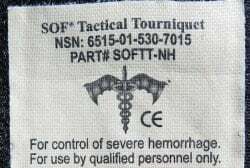 There is much we know and much we don’t about tourniquets, but with just a little more knowledge above basic first aid, the tourniquet is a viable and effective tool that should be in everyone’s kit. The design of tourniquets has evolved rapidly over the past few years so if you haven’t taken a close look at modern tourniquets lately, it’s time. Much has changed and tourniquets are no longer a belt and stick, although that will work in a pinch (pun intended). There are three main tourniquet designs today that should be considered by anyone with even the least bend towards preparedness. They go by nicknames or acronyms; the Special Operations Forces Tactical Tourniquet (SOFTT), the Combat Application Tourniquet (C-A-T), and the RATS or Rapid Application Tourniquet System. Each design has strengths and weaknesses, but the end result is the same. Before jumping to a TQ solution, consider that the TQ must make sense to the person who will be applying it. Reading the instruction manual during a crisis is not how you want your 30 seconds spent. Of the three, the SOFTT is probably the most self-explanatory, strongest, and most (or equally) intuitive. 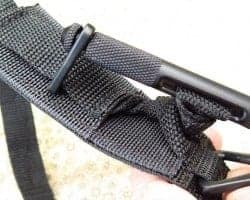 In fact, it is closest to traditional strap systems we use all over the place whether on backpacks, raft frames, or bike racks. 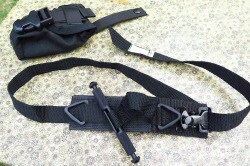 Further, the SOFTT is easiest to put on to a leg when the vic is seated since it easily turns from loop to strap. However, I’d recommend storing the SOFTT with a the strap already looped through the clamp making a lasso large enough to fit over a boot. This will support one-handed operation if needed. While it’s possible to thread the strap one handed, personally, I don’t want to burn up any of my 30 seconds preparing something I should have done when the sun was shining. 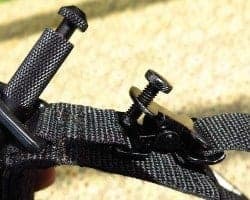 The SOFTT strap is wide enough at a true one inch with a two inch sleeve providing the platform for the windlass and clap. In the case of the SOFTT, the windlass is 4.5 inches of machined and textured aluminum bar stock. 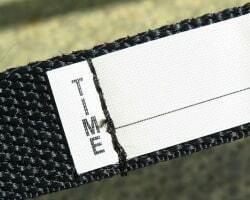 The width successfully stops the blood flow with one wrap compared to thinner strap designs. 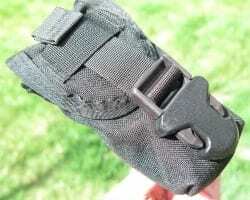 The SOFTT uses a familiar buckle along with screw locking mechanism to assist or prevent unintentional loosening. Tourniquets are very blunt instruments designed to stop blood flow. Too loose, they fail. Too tight, they fail. Too narrow, they fail. Too sharp, they fail. As a crude device, the TQ will be placed under considerable load and stress far beyond what usual medical devices are subjected to. Therefore the windlass or tightening rod of a TQ is under significant pressure. So much so that plastic or wooden windlasses have been known to break just when you need them the most. Heck, even UV exposed straps have snapped under load. The best TQ is the one you have, and if you ask three different people, you will likely get three different preferred tourniquets. But the biggest thing is to get one if you don’t have one, and make it obviously accessible such as on the outside of your BOB when you do have one. Use direct and indirect pressure on the wound to slow the blood flow while you locate and prepare your TQ. Route the strap around the appendage as close to the torso as possible. With the strap fully looped around the appendage, remove all the slack since the windlass only shortens the strap a couple more inches. Twist the windlass until the bright red bleeding stops. Lock the windlass into one or both plastic triangles. Double check that the bleeding has stopped. If not, tighten it more. In a nutshell the most common mistakes with tourniquet use are 1) using when unnecessary, 2) not making it tight enough, 3) waiting too long before using the TQ, and 4) failing to check up on the TQ’s effectiveness later. Nerve and muscle damage are the traditional casualties of tourniquet use, and the reason for the large amount of misinformation surrounding the effects of their use. Much of the nerve and muscle damage has been traced to narrow-strap tourniquets rather than wide-strap SOFTT models. Now I’m not a doctor…well actually I am but not that kind, nor have I ever played one on TV, but I have had advance first aid training including tourniquet use. While I have not had the pleasure to save someone’s life with a tourniquet, I have installed them on arms and legs in practice, and like all survival situations, nothing goes exactly as planned. Which is exactly why you need as many ducks in a row as possible before the SHTF.